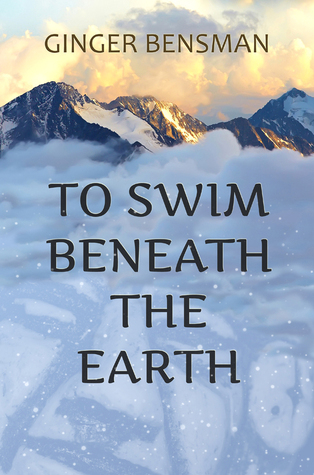 To Swim Beneath the Earth by Ginger Bensman is both an original and compelling novel that cleverly combines 1970’s US culture with that of South America in the 1500s. Not only is the story impeccably written, it also displays an impressive historical knowledge. The book begins in Colorado in 1973 when the protagonist Megan Kimsey has just lost her father. 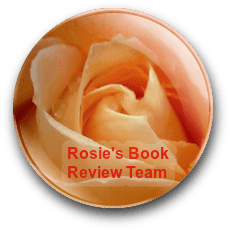 Megan has always been regarded by her family as highly strung due to her random spates of clairvoyance and an inexplicable knowledge of the Inca Empire and its people. Only Megan’s father understands her and before his death purchased a ticket for her to travel to South America in a quest for answers about her troubling mental state. Megan is a great character and I loved Bensman’s depiction of her family life. Her mother is a cold, unloving woman and her relationship with Megan is toxic and damaging. Bensman presents us with the dynamics of the dysfunctional Kimsey family in a way that is both heart rending and darkly funny. The structure of the novel is complex and extremely effective which is indicative of Bensman’s strong writing skills. Once Megan travels to South America, she increasingly becomes connected to the past. We are given flashbacks to the time of the Incas where Megan takes on the identity of a man called Illapa. As Megan becomes consumed by the past and starts to resent the intrusion of the present, Bensman cleverly recreates that sense of tension for her readers. At crucial points in the narrative, she drags us back to 1973 as Megan’s consciousness returns to her, piquing our curiosity and leaving us desperate to find out what is going to happen. Bensman’s particular strength, in my opinion, is her characterisation. Megan is a wonderfully prickly character who disappears at the first sign of conflict. She describes herself as a “social coward”. Bensman also creates excellent potential villains such as the obnoxious therapist, Dr Vickers, who Megan’s mother engages to work with Megan. He is constantly looming in the wings ready to perform an intervention which provides both humour and horror in equal measure. There is also a really strong sense of place particularly once Megan travels to South America. Even in the 1974 sections, Bensman conveys a society that is steeped in ancient ways and wisdoms as personified by Megan’s friend Koyam, a medicine woman. Bensman’s knowledge of the Inca civilisation is such that it brings the period alive for the reader and makes us feel as though we are actually there. There are so many heart breaking events in the story which are genuinely moving. As a child, Megan babysits for a little girl who suffers a misfortune that almost brought me to tears. Likewise Megan’s relationship with her young son when she is in the role of Illapa is emotionally charged and poignant. I really loved this novel and found it entertaining, intelligent and thought provoking. It raises questions of reincarnation and a spirit world which I enjoyed exploring. Ultimately Megan is unable to find her place in the world until she has lain the past to rest. This is not a novel that fits easily into any one genre but I believe there is something to captivate everyone. If you’re looking for a new read and fancy something a little bit different then I wholeheartedly recommend To Swim Beneath the Earth. What a great sounding story, I like the Incas and thoughts of reincarnation, so glad you enjoyed this. Thank you so much for your thoughtful review of my novel. I'm so glad you liked it.